The Sony XDR-S40DBP is now discontinued. You may be interested in the newer Sony XDR-S41D which has a larger display and modern design. 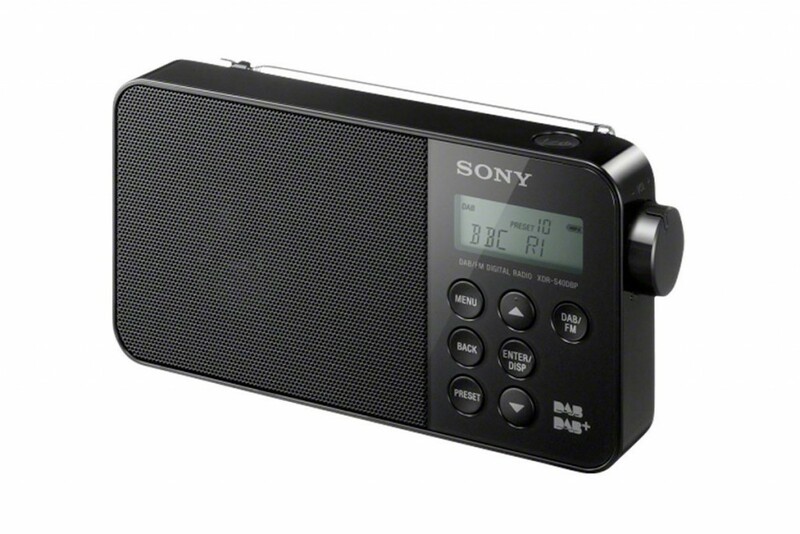 The Sony XDR-S40DBP is one of the most popular Sony portable digital radios. Its compact and minimalist design mean its sure to fit in any room, and its ergonomic design means its easy to use. The power button is the sole option on the top of the radio and a large volume control on the side means the most basic functions can be operated with one hand. Simple up, down and enter buttons make selecting stations a breeze. The display shows a single row of text to make viewing the station name easier. FM and DAB+ are also included in this set, so you can still listen to local radio stations and will be ready for new DAB+ stations as they launch. Sound quality is good and the volume is adequate for small rooms and most kitchens. As well as the included power adapter the radio can be powered by four AA batteries. These should last for 13 hours of DAB/DAB+ listening or 10 hours of FM radio. A sleep timer and small time display also make the radio useful for traveling, although it doesn’t include an alarm. If the black design is a little plain for your setting you can also choose from red and white colours. The telescopic antenna extends longer than most comparable radios and can be moved in all directions. This may well help with reception as the XDR-S40DBP was able to find more stations than some similarly sized models during our review. The backlit display shows the station name by default, but can also show scrolling text and the time at the press of a button. Curiously the radio appears to omit RDS, so FM radio stations are displayed without a name or scrolling text. Overall the Sony XDR-S40DBP’s simple design and build quality make it a good choice in this price and size range. Verdict: Good sound and a thoroughly functional design makes this a great buy for the kitchen or bathroom.